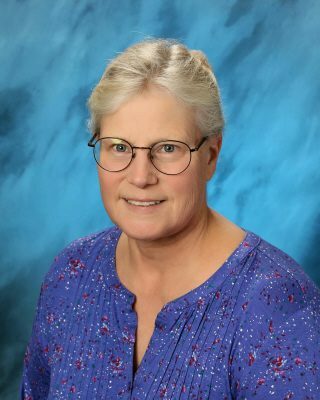 Lorrie Kravig, food service supervisor and stained glass teacher, graduated from Walla Walla College (now University) with degrees in elementary education and music education. She likes expressing her creativity through food, art and music. Lorrie and her husband, Dean, band and orchestra director, have four children.